If you want to have a good time, the choices are many. First of all, Nea Kios has evolved into a modern town and a remarkable cultural centre, with numerous cultural events and activities. Then, if you are a gourmet type, you may enjoy the fresh fish and the great variety of excellent traditional plates at the beach taverns. 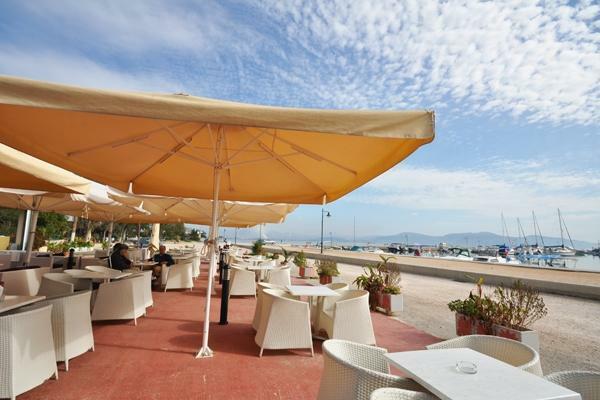 You may also enjoy your coffee and drink by the sea.